"An incredible book that provides the path to a sustainable future without compromise"
There is an ugly truth we are all trying to hide from. The truth that with the creation or consumption of just about every product or service, we are slowly killing ourselves, our fellow human beings, and many of the other species that share this planet with us. But there is hope. A growing wave of entrepreneurs and business owners are taking responsibility, and working to build better businesses that help address the many challenges we face. 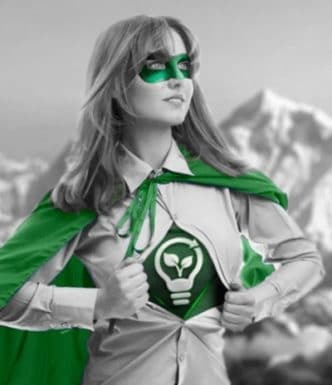 These individuals are helping save the world. They are today’s Real-Life Superheros. This book is an invitation to join them, and a guide to show you how. Plus, when you purchase your copy of ‘How To Become A Superhero’, we will arrange for one tree to be planted on your behalf (thanks to our friends at Trees For The Future). This will offset the carbon emissions produced in the creation of the book many times over, and help provide poor African farmers with food and income. A rare and welcome book that looks holistically and specifically — and with humor, grace, and clarity — at how business can profitably help heal a weary planet. I love the clear and actionable items. Business leaders don’t have time to waste. No fluff here. An inspiring and practical road map to the future. This is the stuff they should be teaching in business schools. If every business followed these guidelines, we would be living in a much better world for sure. In a crazy and unstable world Leon offers a ray of clarity. This is not about left or right wing thinking, not about one religion or another, nor scientific bickering. It goes beyond all this to provide a simple message that anyone can understand. Unapologetically sobering from the start. This provides the slap in the face we need to wake us from our desensitised state of apathy. 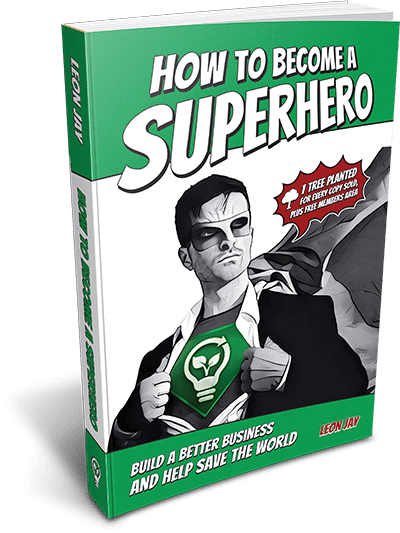 If you’ve ever wondered whether it’s possible to run a business that puts people and positive impact on the world before the bottom line – you’re in luck: Leon Jay outlines a better way to do business in his new book “How to Become a Superhero.” Pick it up, read it, and implement it – you won’t be sorry. Leon Jay is author of four other books on the topics of business and marketing, all of which consistently receive 4 and 5 star reviews. He has spoken on stages around the world, and helped many people grow their businesses, as well as starting many of his own. After years of teaching business, he realized that too many business owners put an emphasis on making money as their primary purpose for doing business. While money is important, he saw the unintended consequences that this approach was having, and so turned his attention to helping business owners make their businesses become a positive force in society, while still generating the money they needed. 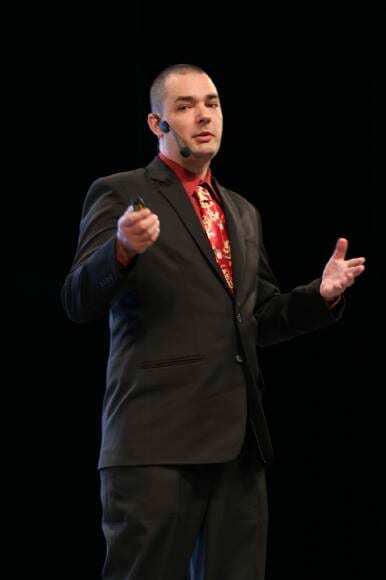 He is now a featured speaker on various stages and podcasts, sharing his passion and insights that have helped business owners see their business in new ways, and find they can get more out of life by focusing on the right priorities in the right order. Leon is also Chairman for CKM, a climate change group based in New Zealand, which focuses on helping the community become carbon neutral, and preserve its environment for future generations to come.